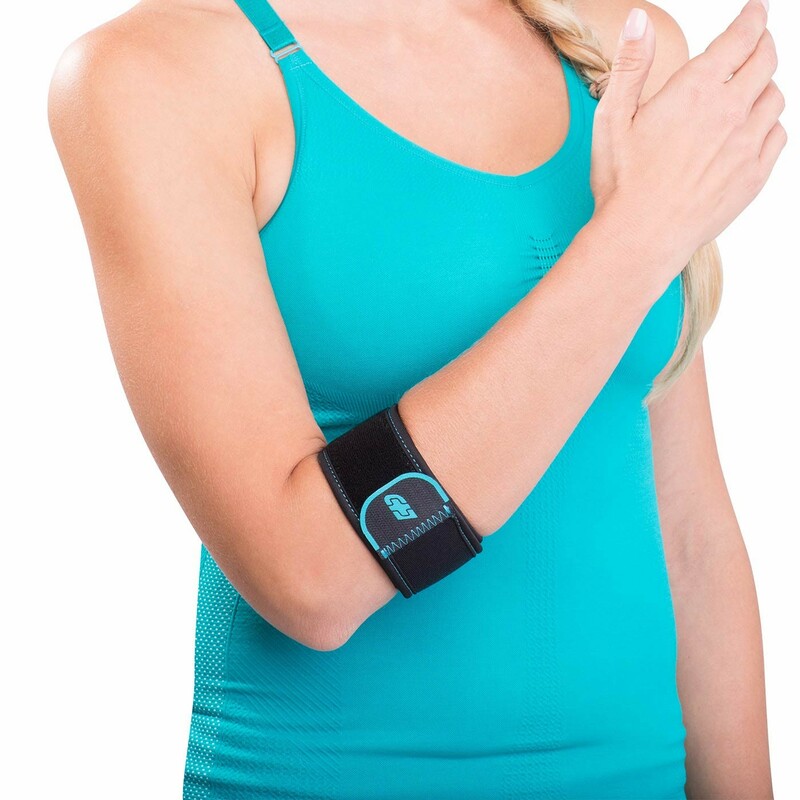 Lightweight elbow strap with molded pad providing compression and pain relief. 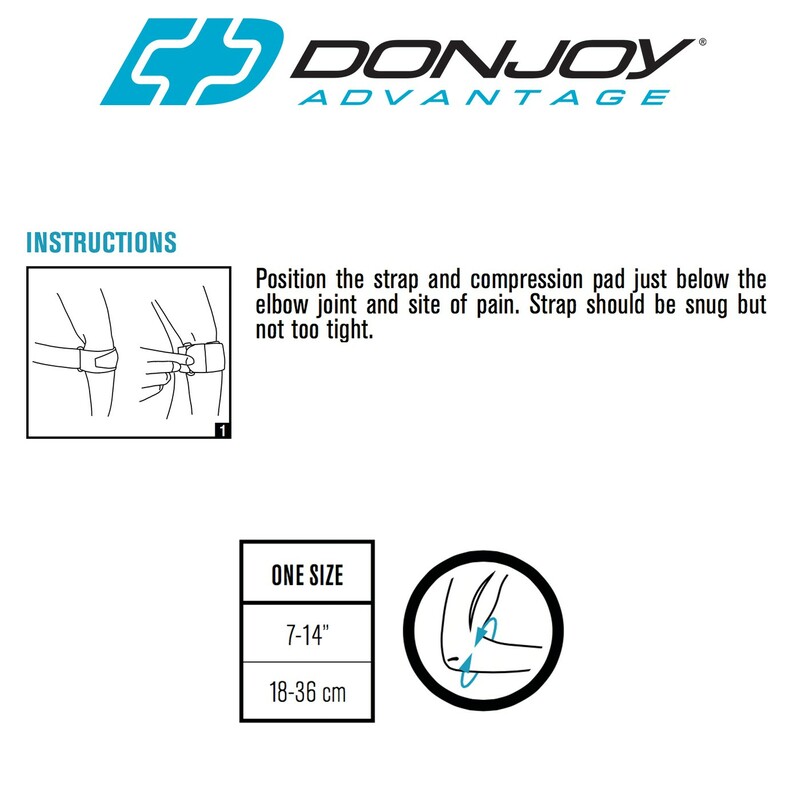 The DonJoy Advantage Golf/Tennis Elbow is a lightweight elbow strap that has molded padding to provide compression and pain relief associated with Golf or Tennis elbow. 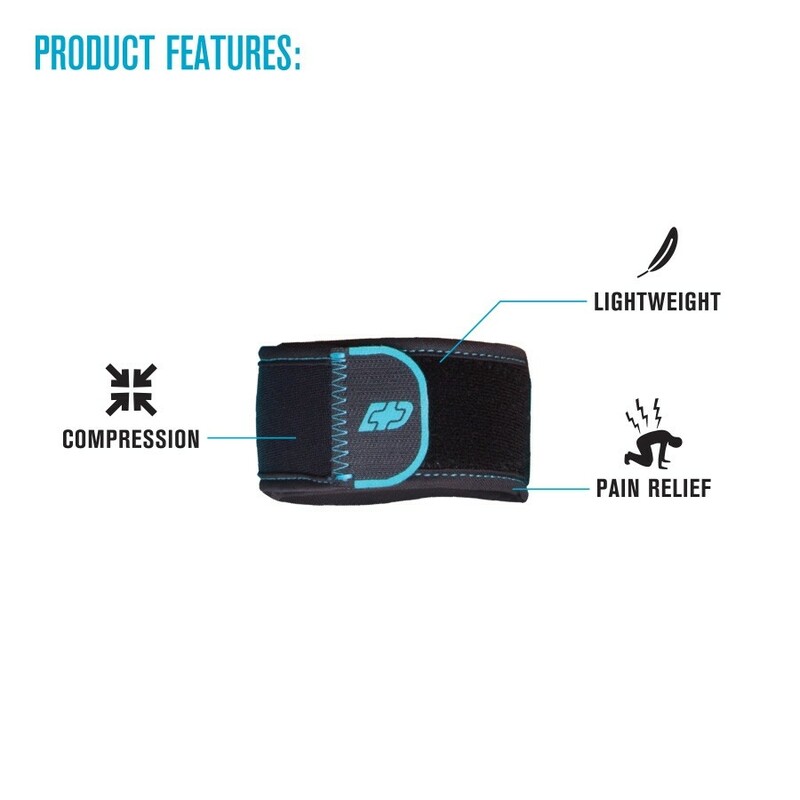 The strap is constructed with neoprene fabric that delivers warmth and compression to the injured area. 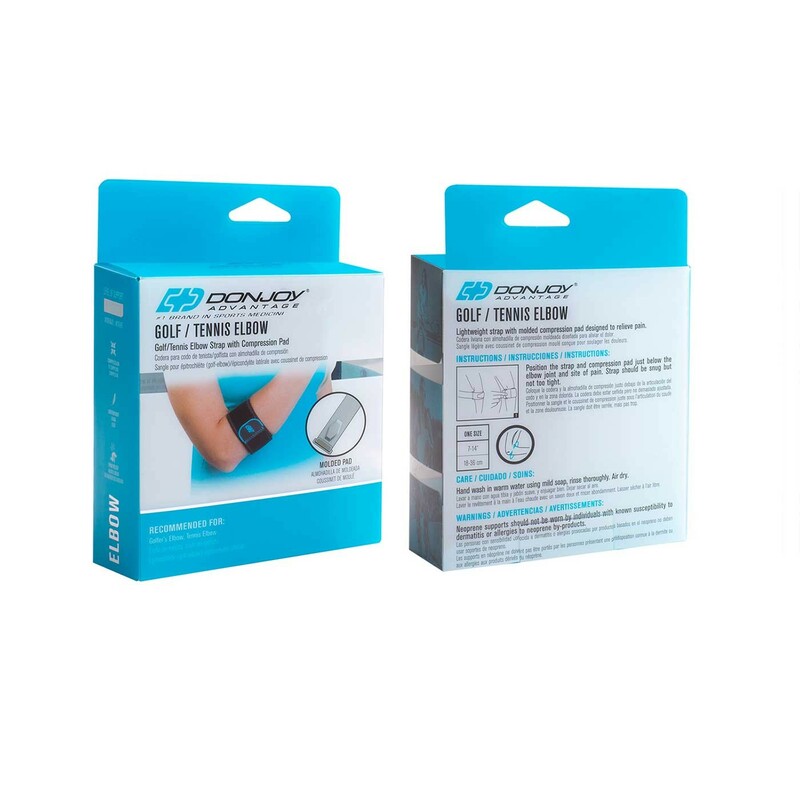 Slim and adjustable, the Golf/Tennis Elbow can be worn on either the left or right elbow to reduce pain on the inner or outer side of the elbow.